I have read a number of very good reviews about Zorin 6 recently. (For example http://linuxblog.darkduck.com/2012/07/zorin-os-6-core-fresh-blood.html, http://www.dedoimedo.com/computers/zorin-core-6.html). Having been a user of Zorin 5 up until recently I decided last weekend to download a copy of Zorin 6 and tonight I decided to install it. (Well my wife is watching Geordie Shore, what else am I to do?). Now this article is only based on first impressions and is not an in depth review but I have to say that Zorin 6 could be the best operating system I have ever used. First of all we know that it is built on top of the latest version of Ubuntu so it has the latest software and it has all the stability that Ubuntu provides. The key though for me is that Zorin 6 isn’t just another Ubuntu clone. In the review by Dedoimedo he asks is there room for Zorin with Ubuntu being so strong and Linux MINT being so good. Dedoimedo thinks there is and so do I.
Zorin 6 is a good leap forward from Zorin 5. The whole experience is incredibly crisp. It feels 100% professional. The icons are crisp, the windows are crisp. The effects are brilliant and classy. It isn’t just the looks that are good. The software works too. 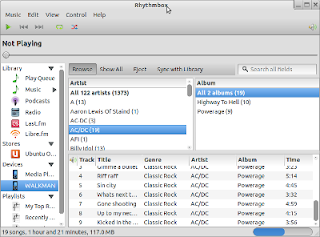 I ran Rhythmbox and previously I have had problems getting Rhythmbox to recognise a Sony Walkman MP3 player but in Zorin 6 it is picked up straight away. 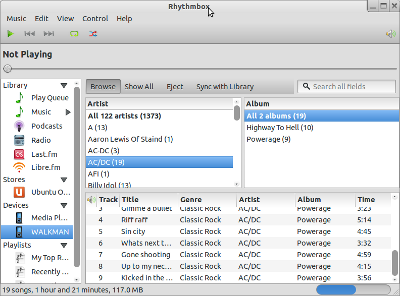 Now I know that is more down to the developers of Rhythmbox and to the Ubuntu team but as a user it is just nice. No technical set up is required. Anyone who previously thought LINUX was difficult to set up needs to see this because Zorin makes Windows look like CICS running on an AS400 mainframe. My wireless networks appeared instantly in the list and I connected to both in seconds. Chrome was installed as the default browser and Flash was available instantly as was Java and all the truetype fonts. The collection of software installed is what you would expect including LibreOffice, Rhythmbox, VLC Player, Brasero, Thunderbird and of course WINE. Zorin is obviously targetting Windows users and if Windows users take a look they could easily be persuaded to use Zorin. Ubuntu has gone down a route with Unity which has disgruntled a large number of users. Linux MINT has gained popularity from Canonical’s decision making process but having used MINT 12 I can honestly say it isn’t as good as this. Now this is my first night running Zorin 6 and I may come up against issues but I have installed all the peripherals that I might need and all the software works. There have been no crashes (nor would I expect there to be). Over the past few weeks I have reviewed Puppy Linux and repeatedly said that I don’t think you would use Puppy as your main operating system on your all singing and dancing laptop. Zorin basically puts the case forward for the reason why. Don’t get me wrong I think Puppy Linux is great and I love the version that was made by Scott Jarvis called Puppy Arcade. As a huge fan of retro gaming (I own everything from an Atari 2600 to a Sega Dreamcast including Sinclair Spectrums, an Atari ST and a Commodore Amiga) Puppy Arcade saves a huge amount of cable swapping and trawling through tapes and cartridges. Now the definition of memory hog is relative to the resources you have available. If you only have 512mb ram in the first place then Zorin is resource hungry. If you have over 1gb then it is more than reasonable. To download the core Zorin system is 1.3gb. Download it and put it on a USB drive or DVD and boot into the live system. I guarantee you will not be disappointed especially if you are at the end of the Linux spectrum that I am which is that I like the freedom but I also like the home comforts with graphical tools and wizards. If you are looking to download Zorin 6 go to http://zorin-os.com/premium.html. It looks beautiful, but the screenshots are so small 🙂 Also, maybe put a link to the Zorin homepage, so we don't have to google it. Thanks for the suggestion. I decided instead to create a new post to help promote it even more because I think Zorin 6 deserves promotion. It really is a great operating system. Hello There. I'm Bob. Just installed Zorin 6. I love 99% of it. They've taken several right click items. How do I get back .. add desktop launcher? I must have it. My email is wyzard999@msn.com. 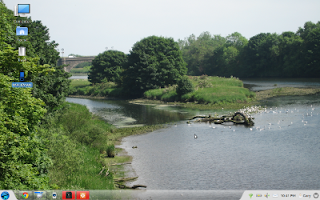 Zorin OS is really wonderful. It is not only their Core, but also their Ultimate and Educational versions too! I too love Zorin. The one thing about it is the download and burning. I have went to a usb install. Zorin needs to download faster, it takes way to long, and this can cause problems. A bit torrent would be nice. Almost all problems with Zorin come from the long download time, and you have to burn at a very slow rate if using a DVD. Otherwise I agree, once installed there is no better OS. The other thing I have to say about Zorin is the moderators at the Zorin forum are the absolute best I have found in Linux. Very knowledgeable, polite, and very patient with newbies, which we all know is not always the case. 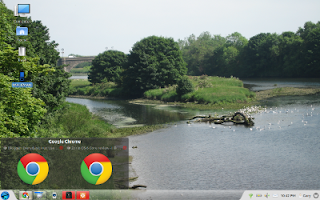 Set up of Zorin OS 6 was quite easy. It is the same installation software that Ie8 and Ie8 versions.Zorin comes with their own pc appropriately known as Zorin Desktop Atmosphere which is exclusive to this submission. It gives the designers more control over the overall look and feeling than using GNOME or KDE for its pc environment. The only thing i have to say about Zorin is simply the best out there, i've tried over 20 diffrent dists, that people said is the best, but zorin beats theme all. i wanna have a os that is simple and yet u can change everything if u want to. tumbs up. Loved zorin,and have tried many distros ,I setteled on mint 13 mate . I'm a non linux user and found mint 13 to suit my needs better , zorin is great, but things like making a desktop short cut ,I found a bit confusing ,r click to make short cut ,then goto properties to permit the short cut . As a distro that says its for windows users,I found this a little odd ,why not just r click to make a short cut ? Over all zorin is a very polished distro and I'd recommendto anyone. After having to use Ubuntu for work purposes (hate it) I installed Zorin on a laptop today – wiped it off within a couple of hours. From a long time windows user (not your average user, I tweak and customise my machines down to the T) Zorin completely disappointed me. The icons were not crisp – in fact all graphics looked quiet soft almost subtly blurred in comparison to the same machine running win 7 x86. Internet did not work straight out of the box, DNS errors haunted me until I entered the root password and "unlocked" the machine or however you want to put it. Finding software I installed (Rainlendar) was a PIA mission I didn't need to go through, search results returned nothing – not friendly at all. Overall I'm not impressed, maybe I'm too comfortable in my particular way of OS design but I found Zorin to be more frustrating than anything. Bare in mind I did not approach it with a I"'m going to try and tinker" attitude but moreso a just let the OS take me there experience akin to a basic PC user. Tomorrow I'm going to try Linux Mint, hopefully that's a better experience. I have used computers for a long time first one was an amiga commodore back in the 80's ie, no internet not created yet. dos thats it. back to linux I am confused how people praise some distros like puppy I found puppy to be time consuming and not work some of the basic function, awkward and reduntant. I had a very hard time trying to download zorin lite 6.2 I never achieved that, it kept coming up as a corrupt file. Maybe because puppy was on the same hdd or that I did not make a contribution oh my bad donation. I just think linux has a long way to go to catchup to windows, even their techs speak is long winded and confusing especially when they don't give the complete answer or the best,safest and easiest way how to accomplish a task. They maybe very good programmers but communicators I think not.example in windows put in what your problem or what you want to do and you get back along list of how to. In linux your probably going to be told to read the help files. which was written by a programmer in true geek speak.Linux is fine if you want to tinker but as a working operating system it lacks functionality it has no direct access when I want to do something I don't want to spend a half hour putting in a hundred letter string or switching directories. I hope this is not taken as offensive to the moderators of this site, because it does not put linux in good light. One other thing there are a lot of ways to not pay full price or any price for windows and they would be legal as well. I have no affiliation with neither linux or the producers of windows. The best easy to use system I've ever come across. My favourite system in the past was the brilliant Ubuntu 10.04 LTS; this has the same brilliant feel. I started using Linux 7 years ago. the idea is great. the execution is a joke. Though it would get better over the years. Instead, Linux has become even more unusable, with even less hardware support and is even more resource intensive. There was a time when part of the rational for using Linux was speed on old hardware. Unbelievable! Most Linux versions bog down in comparison to any version of windows. ^ Note to Linux programmers: Get over yourselves and make something useful and usable.